The world of whiskey is filled with a complicated collection of styles, bottles, ages, and specialties and each is priced differently. It can be difficult to navigate all of the brands and choices available and this guide is designed to help you get started. In it, you will find a listing of popular whiskey brands listed by style (Irish, scotch, bourbon, Canadian, etc.) and the general price range you can expect to find them at. It is by no means a complete guide to every whiskey available. Instead, it should give you a general idea of what to expect when shopping. When choosing whiskey, remember that price will often—though not always—reflect quality. The less expensive to mid-range whiskies will be good for your everyday drinking and are probably your best choices for whiskey cocktails. The high-end whiskies are typically reserved for sipping straight or with a splash of water. However, everyone will have a different opinion of how to drink a particular whiskey, based on their own budget and preferences. All price ranges are an average of what a bottle may sell for at a retailer. Whiskey prices do change over time. For instance, a rare or limited edition bottling may go up in price as the supply dwindles. Some bottlings may have similar offerings available at a different price. For instance, one brand may offer an 18-year-old whiskey as well as a "Limited Reserve" bottling at a higher price. Single malts tend to be higher priced than blended whiskies, especially under the same brand. Climate has a big impact on the time needed to age a whiskey. You may notice that some Scotch whiskies spend three to five decades in the barrel, while American whiskies may max out at around 10 years. It depends on the distiller's desired whiskey within their regional conditions. "YO" is an abbreviation for "Year Old" which indicates how many years the whiskey has aged in a barrel. In the case of blended whiskies, it may refer to an average of the individual whiskies in the blend, the youngest whiskey used, or, in rare cases, the oldest whiskey in the blend. "NAS" is an abbreviation for "No Age Statement." While this is typically not on the label, you will find it in many pricing guides and on retailers' websites. Some styles of whiskey are not required to indicate an age and some distillers choose not to disclose the information. Maker's Mark is a good example, as owner Bill Samuels once said, "It ages until it's done, which is about eight years." Whiskey is an ever-changing market. While there are reliable offerings that you can enjoy for years into the future, others will leave the market or be replaced by something else. This is great for the adventurous whiskey drinker because you'll always find something new to try or a bottle that jumps off the shelf and grabs your attention. It's intriguing and you'll surely never get bored with all these options. Irish whiskey is generally thought of as one of the smoother styles of whiskey available. No matter the price range, you will find that these whiskies are good either straight, on the rocks, or in a cocktail. One of the more interesting aspects about Irish whiskey is that all of these brands are produced at one of just three distilleries in Ireland: Bushmills, Cooley, and Midleton. Yet, each brand has their own distinct characteristics. It is not difficult to find an affordable Irish whiskey, though they are generally not the cheapest whiskies in the bar. Expect to pay at least $20 a bottle for one of these, which makes them perfect for an Irish coffee or whiskey ginger. You'll also notice that this price point includes some of the best-known brands, including Bushmills, Jameson, and Tullamore Dew. For about $10 more, you can find upgrades within many of the biggest names in Irish whiskey. These are typically blends that include whiskies which are just a little older than those found in the brands' flagship bottlings. There are also some lesser-known gems in this section, which are definitely worth picking up when you come across them. Look for names like Slieve Foy, The Irishman, and Tyrconnell for a premium Irish whiskey that is sure to impress. Premium Irish whiskies are available, though you may have put some work into hunting these down. You'll notice a lot of single malts, single grains, and well-aged whiskies in this list. If you can't find a particular label, you might be able to find a similar offering from that brand to try instead. While Irish whiskey is relatively affordable, some very special bottles can reach the price point of a true luxury. These are perfect for special events, to give as gifts, or as a bottle you hold in reserve to pour on the rarest occasions. If you thought that whiskey, in general, was complicated, Scotch whisky is a crazy web of offerings that can be rather confusing at times. You will find single malts and blended whiskies, regional differences, and many limited editions to contend with. Scotch is generally known as having a smoky, peaty flavor profile that's not found in other styles. Yet, not every scotch is super smoky and some have only a trace, so it's best to not discount this entire category if you don't like a smokier whisky. Despite this style's reputation as a sophisticated spirit, there are many budget-friendly options available. There is also no reason why you should not mix scotch into cocktails. Some of the best drinks you can make—the Rob Roy and rusty nail, for instance—rely on it! Exploring single malt Scotch whisky is an adventure all on its own. This is where you get to taste the regional differences in scotch that make this style so interesting. You can sample the elegance of the Highlands or Speyside, the boldness of the Islay offerings, and the saltiness from The Islands. It's a journey that can take you to fascinating places and there's no need to leave home! You will not find many single malts for under $30, though there are a few. These are excellent choices for mixed drinks and it's not a bad idea to keep one in your bar's stock. The majority of the introductory single malts will fall into this price range. Enjoy these on their own or as scotch on the rocks, allowing the ice to open up the whisky's subtle aromas and flavors. When you jump up to the next price range, you will begin to find some of the best scotches available. They're fascinating and among the world's top whiskies, so it's definitely worth savoring every sip. The average drinker may get a taste of one of these luxurious bottles on the rarest occasions. The $100 mark is only the base here and many of these can sell for much more than that. Be careful when ordering these at a bar, too. That tempting bottle far up on the top shelf can easily cost $50 or more for a two-finger pour. Sometimes, however, it's worth the splurge! Blended Scotch whiskies are a great introduction to this style of whisky. They tend to have a well-rounded character and less smoke and regional characteristics than the single malts, making them more approachable. These are also the whiskies many drinkers prefer for their cocktails. Not only because they can be more affordable, but they tend to be more versatile as well. If you pay attention at the bar, you will likely find one of these bottles in the well—where the most used and lowest priced liquors are kept. They're good every day scotches for most drinkers and, though they may not be the smoothest or most refined, these whiskies are enjoyable. Many blended scotch producers specialize in the blending side of the whisky-making process and leave the distilling to others. Producing consistent whiskies from multiple whiskies is an art unto itself and master blenders are well respected in the industry. You will also notice that the blended scotch brands include some of the biggest names, such as Chivas Regal and Johnnie Walker. What's really nice for the consumer is that these brands offer something for every budget. This range is a good middle ground: whiskies you can mix up or enjoy on their own. In general, scotch is one of the most expensive whiskies on the market. It's not uncommon to expect good mid-range blends to cost over $50, and it's relatively affordable compared to the single malts. These bottles make good gifts and many drinkers choose to reserve for special occasions. Of course, you can spend as much as you like on any scotch and the blends are no exception. When you see these bottles, expect a price tag that's high, some easily reaching a few hundred dollars or more. 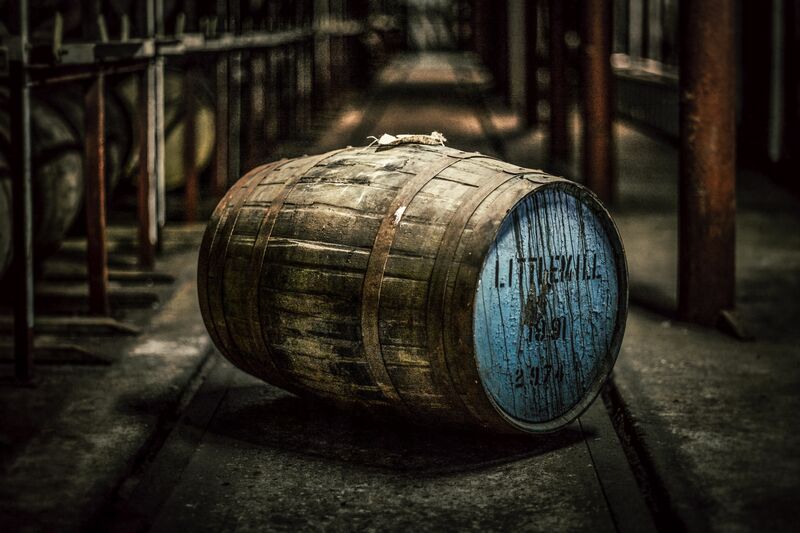 They're just as beautiful as any single malt and worth tasting at least once if you get the chance. Bourbon is one of the most popular styles of whiskey and there is a great range of brands available. There are budget-friendly brands for everyday mixing and reliable brands that are great in any cocktail. You'll also find high-end bottlings that are best reserved for sipping straight. There really is a bourbon out there for everyone! Though the majority of these brands are distilled in Kentucky, it is only a requirement by law that bourbon be produced in the United States. There are some craft distilleries throughout the country who are producing wonderful bourbons as well. It's not hard to find an affordable bourbon that suits your taste. Many of these are tried and true favorites that are regularly stocked in a bar and used for shots or as the base for the most popular whiskey mixed drinks. They may not be the smoothest on the market, but they're good and you can't beat the price! It is in this price range where you'll find the majority of the best-known bourbons on the market. If you're looking for a smooth whiskey that you can sip or mix, these are excellent candidates and definitely worth throwing down a little more cash for. With one of these bottles, you can be confident that all your favorite bourbon cocktails will taste great as well. When you get over $50 in the bourbon market, you're looking at top-shelf bottles. They're impressive, most are impeccably smooth, and you'll definitely want to treat yourself to a sip of these from time to time. While you can find bourbon over $100, most will stay below that mark. Many of these bottles are aged for an exceptionally long time compared to other bourbons and some are experimental or limited edition releases from famous bourbon distillers. For the most part, they're worth every penny. Tennessee whiskey is far more limited than any other style because of the distinct "Lincoln County Process" of charcoal filtering. There are only two distilleries in the state of Tennessee that produce this whiskey, George Dickel and Jack Daniel's, though each produces a variety of bottlings. While Jack Daniel's is a better-known name, George Dickel has many devoted fans that prefer it over the other Tennessee option. If you enjoy the charcoal taste of one, give the other a try or explore the other labels the distilleries offer. After all, the best way to find your personal favorite is to taste them for yourself. When you're looking for a special bottle from Tennessee, these are the labels to look for. They hold everything you love about each brand's flagship whiskey, but they're a little older or a little more refined. Rye whiskey is a classic style of whiskey that fell out of favor for a number of years, but it is back in full force. In recent years, the list of rye whiskey brands went from just a few to a growing list of fantastic whiskies that are fun to explore. One of the best things about this rye explosion is that you can taste many of the classic whiskey cocktails the way they were originally made. You will notice that rye whiskies have a spicier bite to them than others. The rye is responsible for this as no other grain can contribute that flavor in the same way. These whiskies also tend to be rather bold, so there's no need to worry about them getting lost in your drinks! It may take some time to find a rye whiskey that you really enjoy, but it's a journey whiskey drinkers are usually more than happy to take on. You'll also notice that many ryes are produced by brands that typically specialize in bourbon. If you have found a preference for a brand's bourbon, it's definitely worth your time to give their rye a try. The majority of really good rye that will impress anyone will cost over $30. These are some of the best whiskies on the market and many are still affordable enough to be mixed into drinks. Typically thought of as smooth and cheap, the blended Canadian whiskies are a quiet, often overlooked bunch of spirits. While a number of the bottlings available do fall into these two stereotypes, there are some very nice Canadian whiskies on the market. Most brands of this style of whiskey have a vast range that includes their affordable and reliable label, which is perfect for almost any cocktail. Then, that same brand will release special, high-end editions on a regular or rotating basis. These are the whiskies that you really want to look for because they are often spectacular. Even at the lower price range, Canadian whiskies can be surprisingly smooth. A lot of this is due to the blending expertise that goes into making them. If you're seeking a good, cheap whiskey for nearly any type of drink, explore these offerings because it's hard to find a whiskey in any style that is as affordable as these. When you have $30 or more to spend, you will find some very impressive Canadian whiskies! Since these are blended, each will have a unique character and it's not unheard of for 20 different whiskies to go into the finished product. The artistry of blending in Canada rivals that of Scotland and this is where you really begin to see it. Canadian whisky may be affordable overall, but that does not mean you cannot find spendy bottles. When you're in the mood for something really smooth, seek out these labels and enjoy a fine sipping experience. A few of these can even cost $100 or more! North America, Scotland, and Ireland may be the best known and highly regarded locations for whiskey production, but whiskey can be made anywhere in the world. There are also a growing number of American craft distilleries that produce whiskey that rivals anything found within the defined styles. Whether it's an unaged white dog (moonshine) or an unknown brand from countries not renowned for their whiskies, these are interesting finds. They may not be the best, and you'll likely want to mix them, but they're good affordable options. Exploring the craft whiskey market is worth your time. Whether it's made in the U.S., France, or South Africa, picking up a bottle that's unknown to you that falls in this price range is rarely disappointing. Sure, you may turn back to an old favorite, but you'll never know if you like one of these just as much unless you try them. As more distillers tap into the international whiskey market, it's interesting to see which well-known style they follow, if any. For instance, the Japanese whiskies are surprisingly scotch-like. Many of these top-shelf offerings are also single malts and certainly worth trying when you spot them.